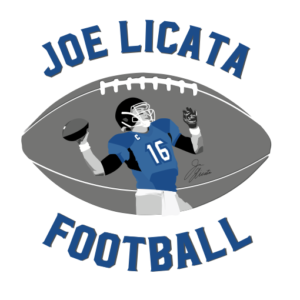 Quarterback Info – Joe Licata Football, Inc.
Joe Licata will coach Quarterbacks. We currently offer the PLAYMAKERS CLUB, that includes an hour on-field work, along with a half hour film session/QB talk. This includes QB training, along with getting repetitions throwing with receivers. *We do travel and offer QB training in special circumstances. Three step game from under center and catch throw timing out of gun.